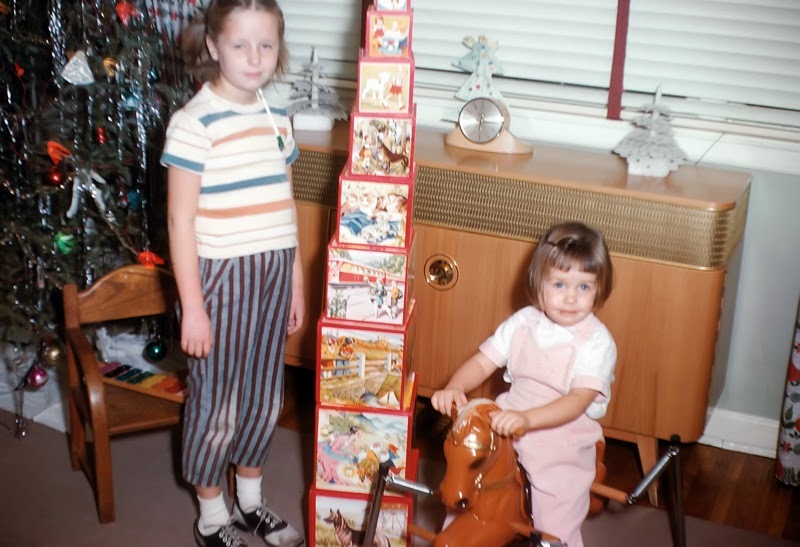 I've been putting together a slide show of old family photos for one of my sisters and in doing so I came across this classic. It was taken in Estes Park, Colorado when I was 6 years old (yes, I know, I look way older than 6-when I was 12 people thought I was about 16.) I'm on the right followed by my sister Susan and my Mom on the Paint. I can remember to this day the excitement and happiness that trail ride gave me. Seeing the photo brings back all those feelings, but tempered now by sadness ... when I look at this photo and see how underweight my horse was. 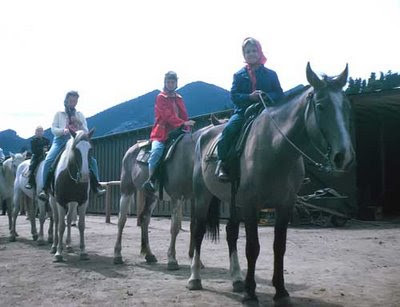 I can only imagine how hard life was for those hard working trail horses.